la scelta dei fan: Only when there is no other option. Do te like Amy Adams, as Lois Lane ? Can anyone reccomend a good picture of the fortress of solitude and the giant key. the golden o silver age when it was still a giant metal door? Hi i'm a journo Scrivere about new Batman vs Superman movie. What do te guys think about this movie? Any opinions? What do te Amore about Superman? 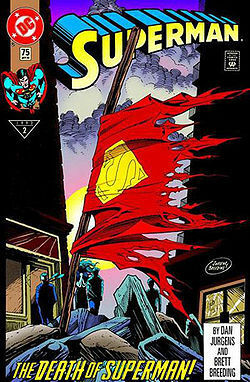 Superman's one of the most popolare superheroes ever made. Because of his popularity he has had eight live action films. Justice League is excluded, because Superman doesn't have a big enough role in that film for it to count. Superman is DC's first super hero in addition to being 1 of the best super Heroes of all time. Superman doesn't have as many iconic villains as Batman, but he does have some cool enemies. This lista is about my 5 preferito enemies of Superman. Mr. Mxyzptlk is a trouble making antagonist. He is più of a comedic villain than the other Superman villains. He manages to annoy Superman a lot. Mr. Mxyzptlk is 1 of Superman's most entertaining enemies. He truly shines in Superman: The Animated Series where is amusingly voiced da Gilbert Gottfried. Ever since New 52 Superman died, the Superman fandom has been diviso, spalato between those who are overjoyed the pre-Flashpoint Superman is coming back and those who actually liked N52 Superman’s stories. DC Comics has released their July 2019 solicitations, and we’ve highlighted for te all the Superman-related comics and products listed. DC Comics has released their June 2019 solicitations, and we’ve highlighted for te all the Superman-related comics and products listed. DC Comics has released their May 2019 solicitations, and we’ve highlighted for te all the Superman-related comics and products listed. a comment was made to the poll: Long hair o short hair?